Are you having a hard time keeping up with all your debt payments? If so, it may be time to simplify how you pay off your debts. Debt consolidation loans are designed to pull all of your debts into a single, convenient loan with just one monthly payment. At Fairfax Mortgage Investments, we offer debt consolidation loans to individuals who wish to improve their finances by consolidating debts like credit card debts, student loans, and medical bills. Allow our loan experts to make your life a little easier by transferring all of your debts into a single loan with just one affordable monthly payment. Debt consolidation is the process of taking out one new loan to pay off multiple debts. Essentially what this means is that you are replacing multiple loans with just one loan. Here is an example. Say you have a four credit card debts of $3,000 each with a total balance of $12,000. Instead of paying four separate debt payments each month, you could consolidate that loan and make only one payment from then on. Your payments would be the same each month, making it much easier to budget. If you are considering applying for a debt consolidation loan, consider all the benefits that you would receive. In addition to the convenience of having just one monthly debt payment, you would have a lower interest rate. 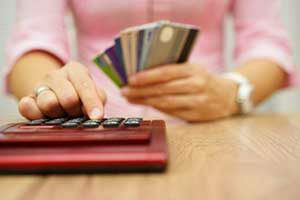 Most credit cards come with strings attached in the form of high interest rates. For many people, these rates are higher than 20 percent. When you consolidate your debts into a single loan, you can significantly reduce your interest rate to around 10 percent or less, depending on your credit score, history, and other factors like income. With a lower interest rate on your debt consolidation loan, you can also expect to pay off your debt faster. With standard credit cards and similar debts, a large chunk of your payments are going towards interest charges. With minimal interest charges, you can pay more towards your balance and get your debt paid off sooner. Lower interest rates also help you stay ahead of your debt, which reduces the risk of damaging your credit due to an ability to pay. Missed credit card payments can result in massive late fees and points off your credit score. With a consolidation loan, you can help avoid these issues. Debt consolidation loans are for anyone who has difficulty making the minimum payments on their debts. They are also for people who are consistently making payments towards their debt but are not seeing a major change in their balance. As having a single debt makes life easier, these individuals are able to better manage their finances through basic budgeting. With only one debt payment to worry about, most people can avoid common issues like non-payment and late fees. Debt consolidation loans are also ideal for people who want the peace of mind of knowing that their debts are rolled into one manageable loan. If you are interested in obtaining a debt consolidation loan, our loan experts at Fairfax Mortgage Investments can help. When you contact us about applying for a debt consolidation loan, we will look at several qualifying factors, such as your credit score, credit history, income, total loan amount, and the timeline of repayment. 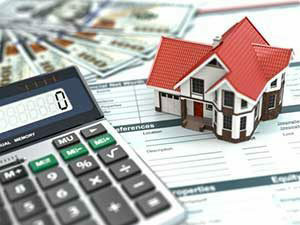 If approved, we will create a single loan with an interest rate based on your unique financial circumstances. You will then be responsible for paying a single payment each month until the balance is paid off. There are several reasons why debt consolidation loans are so attractive to individuals with a lot of debt. First, the rates are fixed for the life of your loan, meaning you will always know how much you will pay each month and this amount will never change. While credit cards and many other types of debts come with unexpected fees, you can have the peace of mind knowing that you will not get hit with any fees during repayment of your loan. Still not sure if a debt consolidation loan is for you? First look at your credit score. 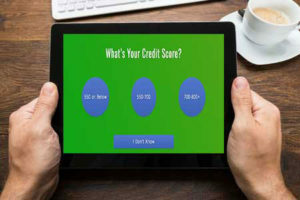 While you do not necessarily need a high score to qualify for this type of loan, having a higher score could get you a low interest rate that makes your loan easier to pay off in a timely manner. A good credit score makes you a low-risk borrower in the eyes of lenders, resulting in more benefits. You will also want to show proof that you have a stable source of income. As most debt consolidation loans take several years to pay off, you will want to ensure that you will have sufficient income to make monthly payments. Debt consolidation loans are also a good ideal if you have already established healthy financial habits. After obtaining a loan, the last thing you want to do is go further in debt. It is important to look at your finances to see where you are spending too much and identify problem areas that you can change to improve your finances. For example, not having an emergency fund in place is a common reason many people go into debt. Once you have identified the problems, you can work towards viable solutions. Fairfax Mortgage Investments has been serving individuals in the Northern Virginia, Maryland, and Washington DC areas for more than 35 years. Our loan experts enjoy taking on challenging cases and will do their best to help you get a loan that meets your unique needs. We are fully licensed in the states of Virginia, Maryland, Delaware, Florida, and the District of Columbia, and have successfully helped thousands of clients throughout these areas obtain the loans and financial products they seek. Learn more about our services or apply for a debt consolidation loan on our website or by calling us at (703) 214-7255.